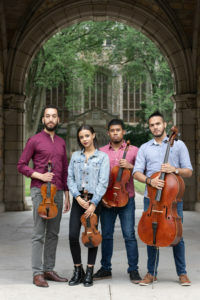 Founded in Ann Arbor in 2016, the Ivalas Quartet is composed of violinists Reuben Kebede and Anita Dumar, violist Caleb Georges and cellist Pedro Sánchez. 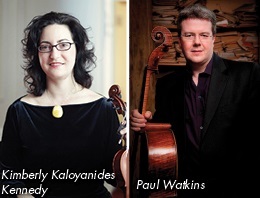 Ivalas has performed with artists such as the Calidore String Quartet, Danielle Belen, David Ying and Patricia Terry-Ross. The quartet has also been heard on WRCJ 90.9 FM’s Classical Brunch series and appeared at the inaugural Detroit Music Weekend. Recently, the quartet was awarded first prize in the 2018 Briggs Chamber Music Competition, and was named a semifinalist group at both the M-Prize competition and Concert Artists Guild competition in New York. This past summer, Ivalas was the Fellowship Quartet at the Bowdoin International Music Festival. The previous year, the group was named the 2017 Fellowship String Quartet at the Anchorage Chamber Music Festival, where they had the privilege of coaching young chamber groups, as well as studying intensively under Ayano Ninomiya. 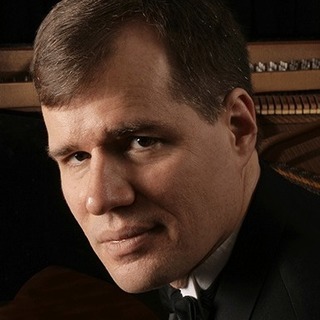 The quartet has been coached by members of the Calidore, St. Lawrence, Escher, Ying, Turtle Island, Jupiter and Pacifica string quartets, as well as Paul Katz, Jeffrey Zeigler, Mikhail Kopelman, Kirsten Docter, Richard Aaron, Danielle Belen and their dedicated chamber coach at the University of Michigan, Professor Stephen Shipps. Maintaining their commitment to community engagement, the Ivalas Quartet has also represented the Sphinx Organization playing for students in Flint and the Metro Detroit area.